I am not very much into fashion photography, but got an opportunity to shoot a model for Allen Solly. Thank you so much Allen Solly. You can see my work here. 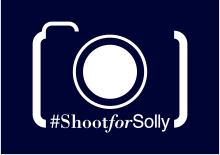 Posted in Photography, Travel, TravelingTagged #ShootforSolly, Allen Solly, Chinos, Deepak Acharya, Fashion Photography, New DelhiBookmark the permalink.